The last time I tried Eyeko's polishes, I wasn't impressed at all. Not one bit. This was back when Eyeko was still carried at my Superdrug last year. I saw their polishes in their cute bottles that looked like little milk jugs, picked up 3 or 4, tried on Pretty Polish, and promptly gave it away. It was sheer, streaky, annoying and took 4 coats to even out. And the cute milk jug bottle? It looked really eye-catching, but didn't help polish application one bit, since the polish tended to get clogged up around the too-wide rim of the bottle, and the flat cap was hard to hold. 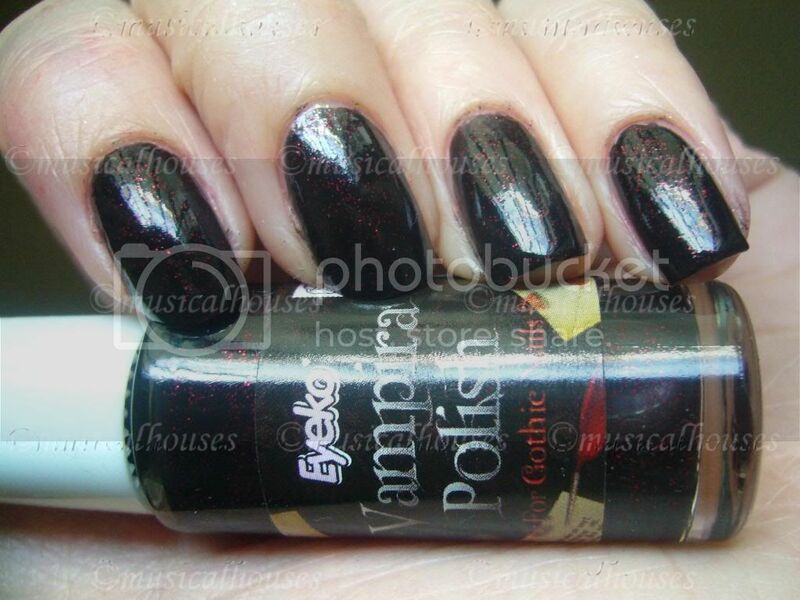 Enter 2010, and Eyeko seems to have reformulated their polishes. These ones that I've tried were much better, both in terms of packaging. Gone are the annoying milk jug bottles with the too-wide rim and hard-to-hold cap. These ones are thinner, and sleeker, and the rim and cap are normal to hold and use. The formula also seems to have improved - out of the three I've swatched, only one was sheer, and it was billed as a polish for French manicures, so that's to be expected. There are also some interesting and surprising dupes here. As you can see, this is a far cry from my past experience with their Pretty Polish. While that one was impossibly streaky, this was actually even with just two coats. Streakiness is a major downfall of many a sheer french pink, so consider me impressed, even if the colour isn't devastatingly unique. I used two coats of each for the swatches to ensure consistency. 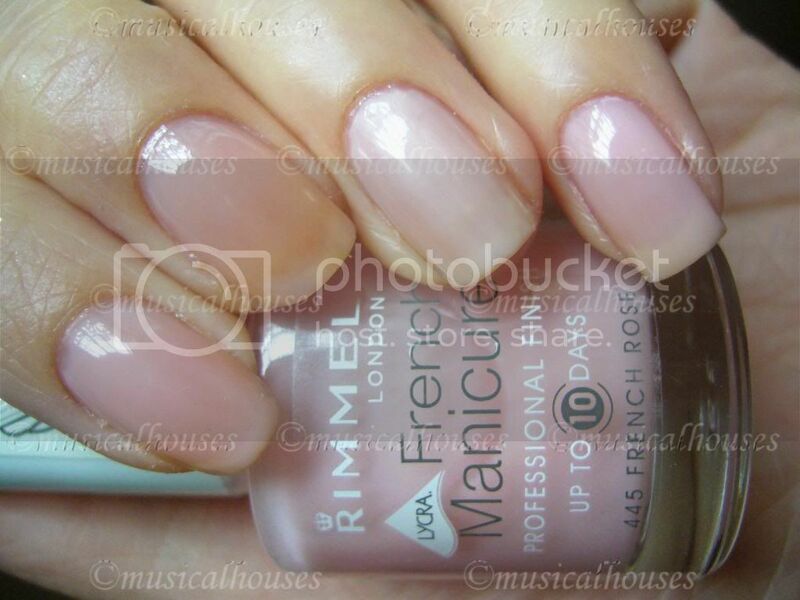 As you can see, Nails Inc Elizabeth Street is the most opaque of the lot, reaching near-full opacity in 2 coats. Rimmel French Rose is the sheerest of the lot, showing the most VNL, while Eyeko's Petite Polish is sort of in between, but closer to the Rimmel French Rose polish. I think these are great for French manicures, and also very work appropriate - barely anyone is going to notice you're wearing polish with these. This is really very pretty isn't it? I generally stay away from most coral colours, because they usually carry too much orange for my taste, but this is on the red side of coral, and thus doesn't make me look as jaundiced as it potentially could. I also liked the application on this one, it applied well and was smooth. I really love this one, it's not neon, but it's bright, summery and happy. You know I love me my vampies, so you know I'll love this. 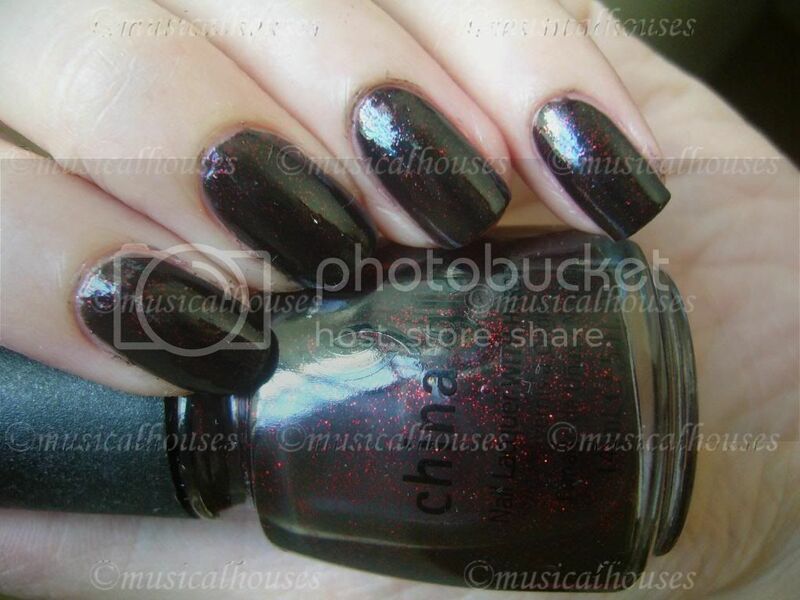 Black with red glitter? I'll take it! As you can see, they are pretty much dupes, colour-wise, right down to the size and density of glitter. I know the China Glaze diehard fans are going to howl at the presence of a dupe of one of their cult favourites, but to be fair, the China Glaze version was easier to apply, and didn't pull or streak as much. So they might be dupes colour-wise, the China Glaze had a better application. But for anyone in the UK who can't get their hands on China Glaze, the Eyeko is definitely a good substitute. After my previous mishap with the older Eyeko polishes, I swore I'd never buy anything Eyeko again. 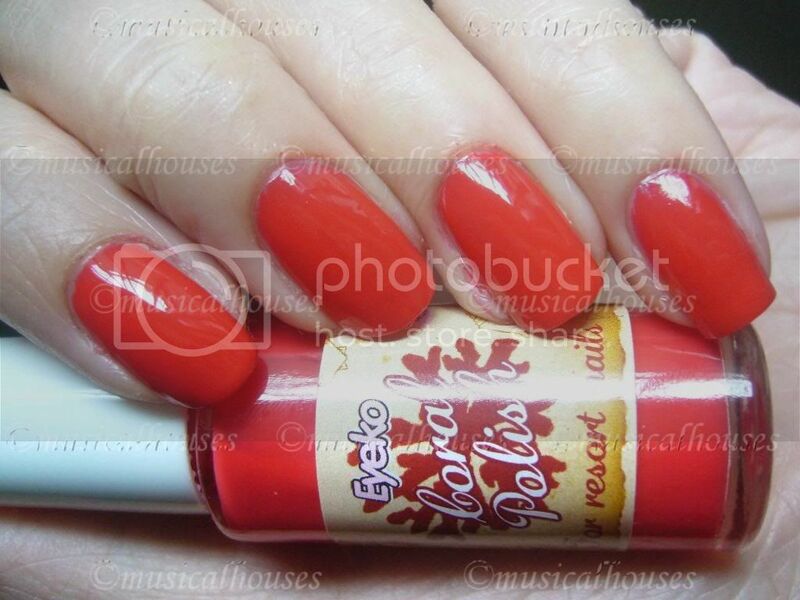 These polishes have redeemed Eyeko in my eyes. None of these colours are super unique, but they are good basics with good quality, and worth a look at. These products were provided to me for review purposes. I am not affilated with the company. This review is my complete and honest opinion. I like the vampirish one ...a lot ! Nice swatchs , thank you for taking the time to do the comparisons , it was really usefull ! Ooooo I love the coral and the vampy one, I might have to try out their varnishes!! Do you mind telling me where I can get the petite polish in Singapore? @Sarah: You can't get these in a store in Singapore. Fortunately Eyeko ships internationally through their website, and if I recall correctly their prices are pretty decent. Hope this helps!